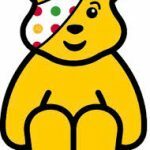 We are supporting Children In Need on Friday 16th November. Pupils and staff are invited to wear spots or mufti. BBC Children in Need is the BBC’s UK corporate charity. Thanks to the support of the public, they are able to make a real difference to the lives of children all across the UK. We would like everyone to take part so please send your child into school on the day wearing spots or mufti and with a £1 voluntary donation.